According to an Oxford Economics report, Americans let 169 million vacation days go to waste in 2013. That massive total added up to a whopping $52.4 billion worth of unused paid vacation. 16 measly days: that’s how much combined vacation and holiday time off most Americans get per year. And yet, despite so little time to relax, they still aren’t using it up — in fact, American workers left an average of five days of vacation on the table last year. That’s shocking. There is so much you can do with five days. Something like a boating/yachting trip, as long as you have your rv marine batteries, should suffice! Seriously, if we pooled our resources, we could just buy 13 billion Big Macs. Or Liechtenstein. C’mon, America. The study, which pulled data from the Monthly Current Population Survey and a GfK survey of 1,303 American employees, found Americans are taking less vacation time than ever in the past 40 years, and the number of days used has decreased in the last 20 years. “Americans are taking the value of their time for granted”, Adam Sacks, president of Oxford Economics’ Tourism Economics said. “By passing on vacation days and working instead, U.S. employees are serving as volunteers for their companies”. And it turns out, putting in more face time at the office won’t even help you get ahead. Those who don’t vacation have a 6.5% lower chance of getting a bonus or promotion. 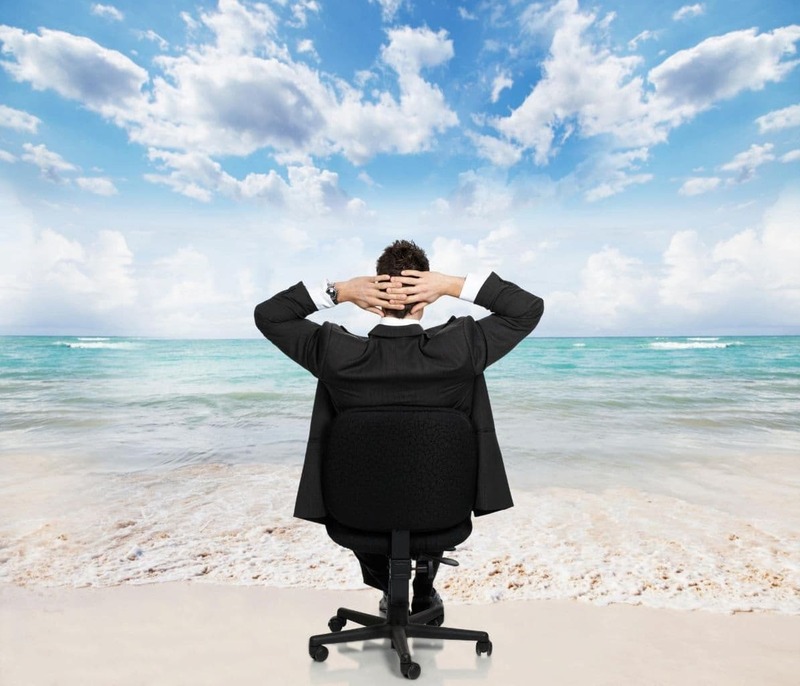 Unsurprisingly, the 77% of American workers who don’t take at least a week off to relax and sun themselves on the beach (or go on an exotic trek) experience higher stress levels. It seems crazy to me that people would avoid going on vacation. The best place to unwind from work-related stress is definitely fishing in Key West. This place is quite literally a paradise on earth! It really does surprise me that so many people are unaware of it. You can find out more about the fishing trips at key-west-fishing.link. I can’t think of a better way to relax than a day out with the family at sea. Those who do vacation don’t stress out as much. Duh. Now’s the time to spend those 10 vacation days you’ve got before you lose them altogether! Or, you know, you can just keep working for your employer for free and waste vacation days.